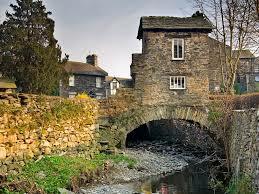 We received a call yesterday from a lady on Rydal Rd Ambleside who had noticed water pouring from the attic. She was naturally very worried and asked us to get there as soon as we could. When we got there the fault was found and quickly fixed much to the relief of the lady who said she was delighted with the quick response. So if you need an emergency plumber in Ambleside please call 01539468059 for lightning fast service. Our plumber attended at leaking toilet at Birch Road in Ambleside. water pouring through a ceiling into a kitchen at The Falls. Ambleside was attended to by one of our plumbers.